The Ngati Hine Forestry trust recently engaged Bob Cathcart of AgFirst Northland to prepare a report on the effects of exotic forests on soil, ground water, water quality, air quality and native flora and fauna. Overall pine trees have a positive effect on the environment. In New Zealand pine trees have virtually the same effect on soil as native trees, except for Kauri which is quite degrading to soils. 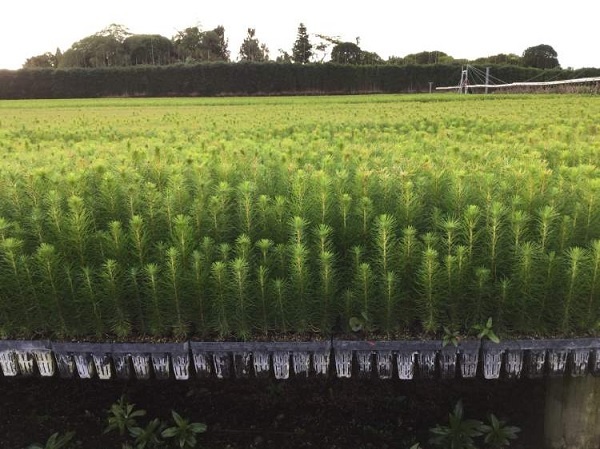 Pine trees only intercept the first 0.25mm to 2.5mm of each rainfall event, reduce flood peaks in smaller catchments, and improve water quality. Pine pollen is not allergenic and pine trees in fact trap smoke and dust and filter the air. Pine trees also provide favourable habitat for native flora and fauna. PF Olsen thank the Ngati Hine Forestry Trust for allowing us to share this work.